So happy to find this forum, and I am so stoked with the 2001 DRZ400E I just bought. Does anyone here know anything about front fork guards for this bike. I am not talking about the black accordion style boots that come stock. I greatly appreciate an info anyone could share on this topic. I'm referring to the front fork guards that cover the bottom half of the forks. I found a pair that fit. I did have to modify the clutch side guard though, but they look great. I am trying to attach a picture to this message, but it wont work for some reason. Can you post a link to what fits? I'd like to domthis mod too! Just go to the Wheeling Cycle Supply website. From there click shop the DRZ specials. Click body then scroll down, youll see the UFO fork guards near the bottom. 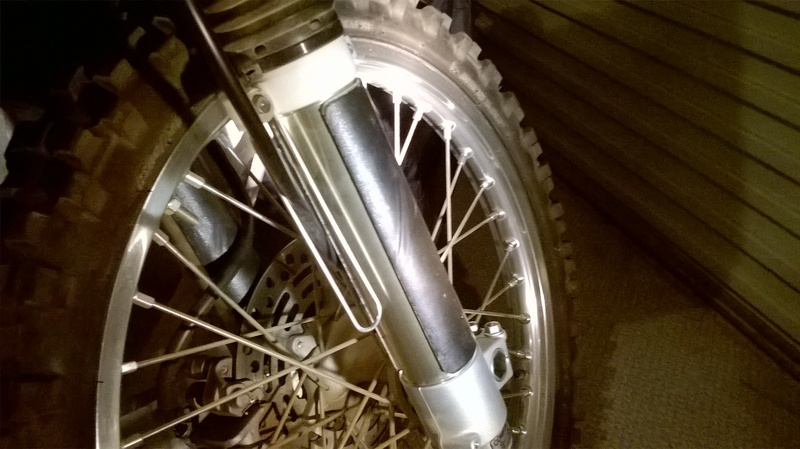 You will have to modify (cut) the clutch side fork guard to fit though, but it's really simple. The guys at Wheeling are very helpful, and they carry a lot of parts for the DRZ. The only ones I see say they are for an sm model only. Do not fit an E model. Are these the ones u bought and made the modifications? 1- go to your nearest hardware store and buy 500mm of 50mm white plastic pressure pipe. 2- cut two pieces to 210mm. 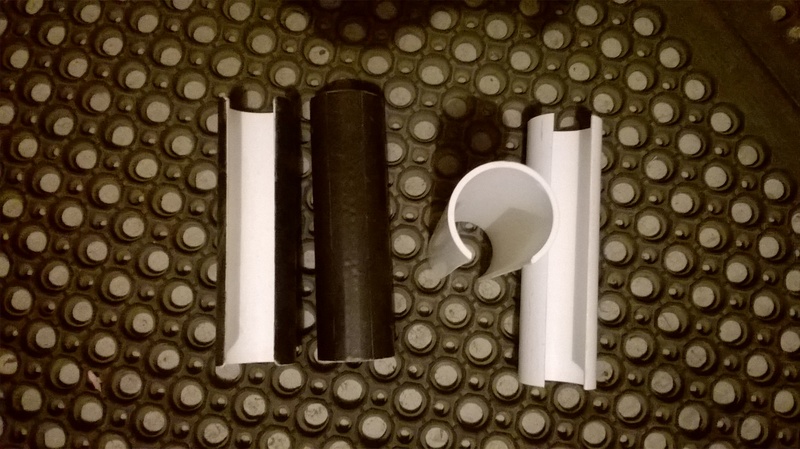 3- cut a 30mm strip out down the length of the pipe and round off all edges with a file. 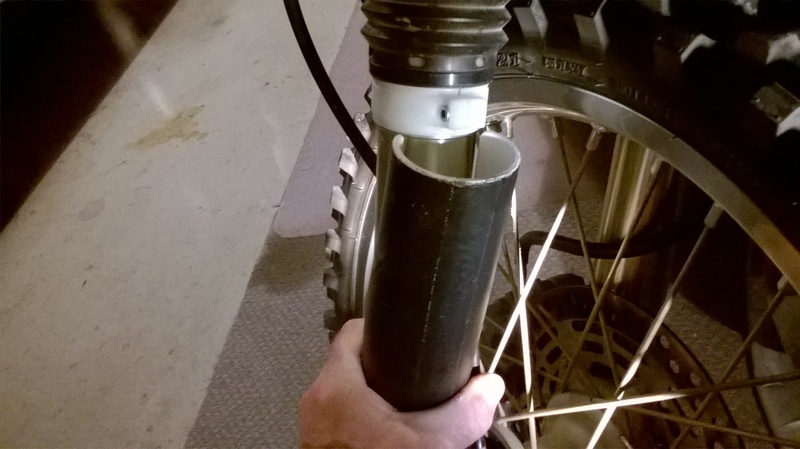 4- press the pipe onto the fork leg, it will clip on tight and remain easy to remove when necessary. You can either paint them or put tape on the outside to suit your bike. I guarantee they will not move or crack. Yes, those are the ones. Like I said, you have to modify the clutch side though. It's really simple. So you took the stanchion boots off and put a lower fork leg cover on? So is anything actually protecting the stanchions anymore? 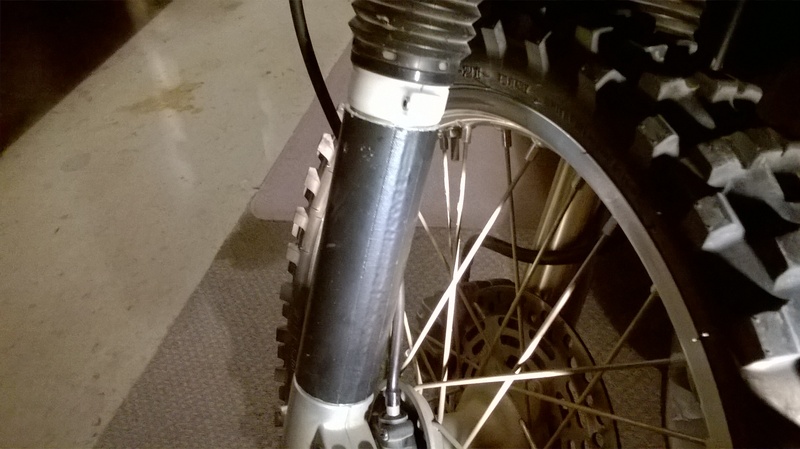 The boots stay on(see pictures),these covers stop damage to the lower alloy fork leg.